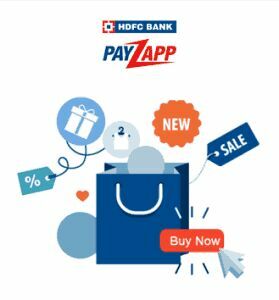 "Now Get 50 Rs Cash back On Your Recharge or Bill Payments of 200 Rs Or More Using PayZapp!" • And Select “Pay with PayZapp” and pay the Amount. √You will Get 50 Rs Cashback Within Few Days! - Offer is valid only on Billpay/Recharge/DTH/Datacard through “Pay with PayZapp” provided customer is registered for PayZapp at the time of transaction. - Min. transaction amount to be Rs.200. - A customer is eligible for cashback twice during offer period.